Ultrasound weight-loss techniques are used to blast fat cells in specific therapeutic areas.The therapy targets and destroys subcutaneous fat cells in fat cell membranes through a series of microscopic implosions.Once the adipocyte membrane (adipose tissue) is destroyed, the fat is excreted between the cells, where it is converted into protein, which is then converted into free fatty acids and glycerol.Free fatty acids are transferred to the liver, where they rot and are removed from the body, while water-soluble glycerol is transported to the circulatory system and used as energy. The main principle of lipid dissolving by laser is to use the huge heat energy of laser to act on the fat layer cells in the body.The cells are heated effectively. During the heating process, the fat cells swell and break up, allowing the fat cells to form free fatty acids.Fatty acids are naturally regulated by the body to break down free fatty acids.Finally achieve the effect of reducing weight. 1. Multiple weight loss technologies are integrated into one device, which can effectively improve the skin. 3. 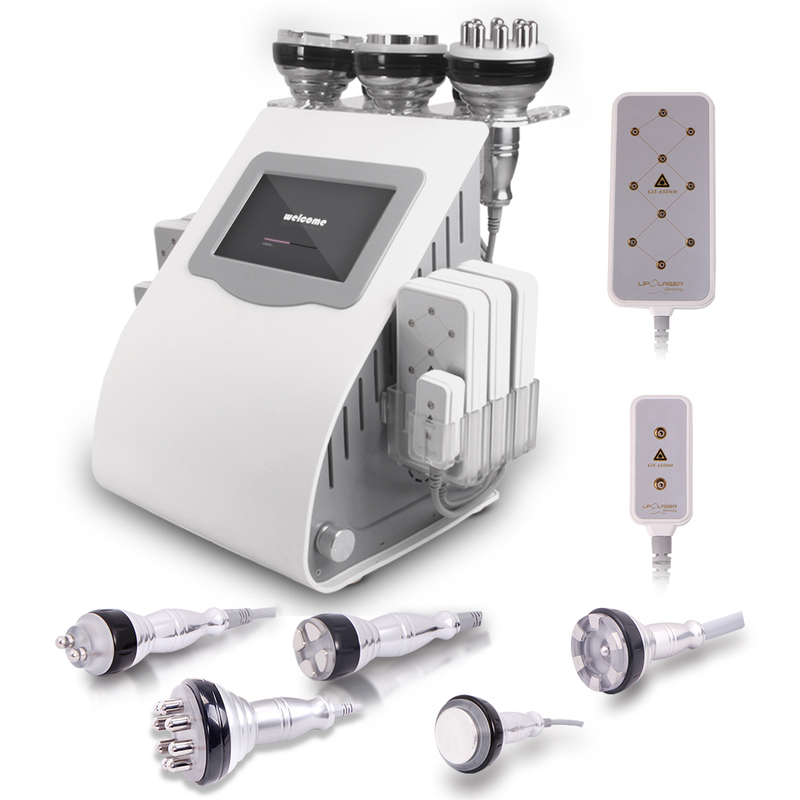 Intelligent rf, selective fat removal. 1. Touch screen control system, more convenient and simple operation. 3. More convenient system design and diversified mode selection.